Happy Valentines Day and an early Happy Birthday to Galileo! It is a historical fact that the Valentine we celebrate today was martyred by the Roman Emperor Claudius II (known as Claudius the Cruel), on February 14, circa the year 278. Though much of Saint Valentine’s history is clouded by legend, the story that seems most likely, is that Claudius was intent on keeping his Roman soldiers celibate in order to enforce strict discipline and keep the troops from pining for their families while stationed far from home. He therefore banned all engagements and marriages for the troops. As a priest, Valentine, could not abide this order and continued to perform weddings for the secret lovers. When this was discovered by Claudius, Valentine was arrested and sentenced to death. 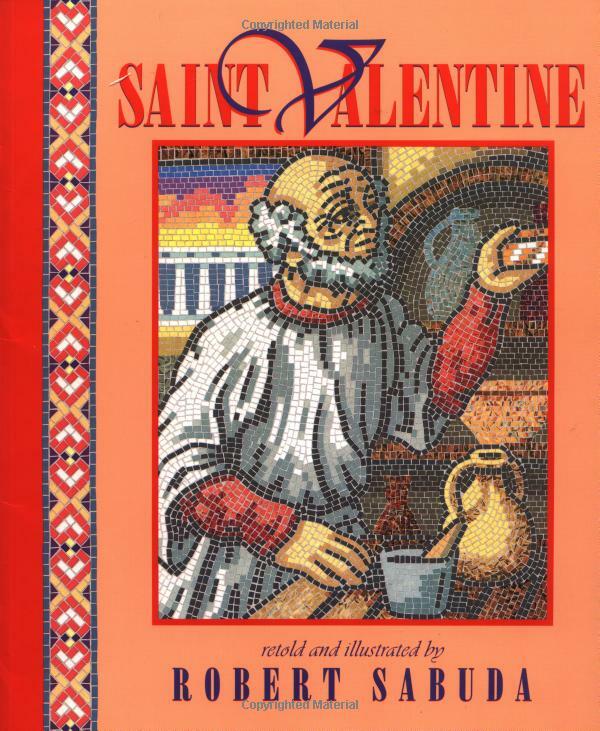 While in jail, he is said to have healed the daughter of the jailer, who was blind, and before his execution sent her a note inscribed, “From your Valentine.” A sweet and simple children’s book about Saint Valentine that you may enjoy is Robert Subuda’s Saint Valentine. Tomorrow, February 15th is the birthday of Galileo, and it was on February 13, 1633 that Galileo was brought to Rome to answer charges of heresy for believing that the solar system was not geocentric (revolving around the earth), but rather, was heliocentric (revolving around the sun). The Roman ecclesiastics could not abide such an outrageous idea, which somehow seemed to upset their notions of man’s importance at the center of the universe. The Catholic authorities forced Galileo to renounce his beliefs and sentenced him to live the rest of his life under house arrest. But this, of course was toward the end of his life, and by that time, Galileo had not only substantiated through careful astronomical observations that the earth did indeed revolve around the sun, but he had also invented a thermometer, a geometric compass, a compound microscope, and a pendulum clock; he perfected the astronomical telescope, measured the rotation of the sun, and designed a way to test precious metals. He wrote laws about falling bodies and floating bodies. He was also a lover of art and an accomplished artist himself. He played the lute and enjoyed working in his garden. Galileo was truly a Renaissance man. I had the distinct privilege of working with Jeanne Bendick on her delightful biography of Galileo, featured here. 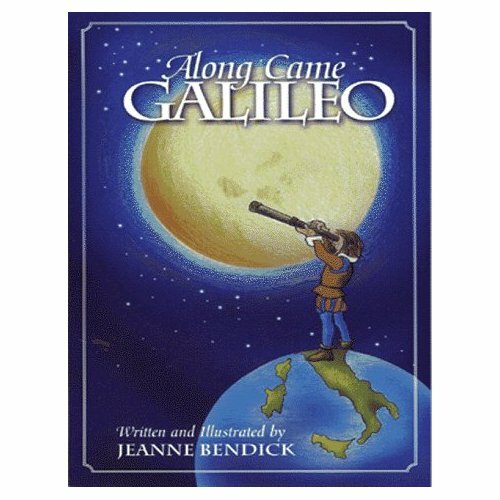 Jeanne Bendick, who is best known for her hugely popular book, Archimedes and the Door of Science, applies her fun and whimsical way with words and illustrations to the remarkable life of Galileo. In honor of Galileo’s birthday, pick up a copy of this book and discover the life of one of history’s most curious, inventive and courageous men. I love this quote! Thank you for blog entry Rhea! Nice to hear from you Carol! Thanks for checking out the blog! Hope all is well with you. Cheers. thanks Rea, we loved this! The girls and I had just bits and pieces of memory regarding the real Valentine story and were pleased to hear the complete tale. We are also reading “Along came Galileo” for school, and are truly enjoying it!